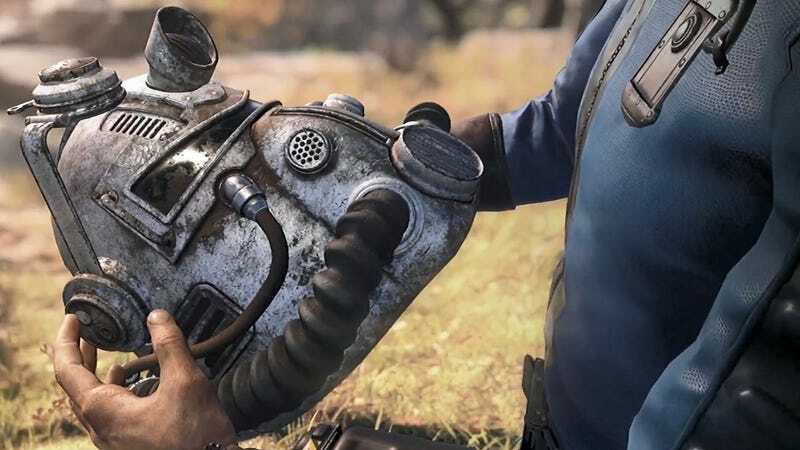 At Bethesda’s E3 showcase last night, we finally got a better look at the upcoming Fallout: 76, and it’s not like any previous Fallout game. For many, that maybe a let down, but gratefully, that means it doesn’t have a monumental amount of expectations to live up to. If this were truly Fallout 5, people would’ve taken one look at the fact that there is no discernible story or RPG elements and ran for the hills screaming and gnashing their teeth. Since they stated right at the outset that this was an online survival game, though, all of that pretense is washed away, and we’re left with a game that exists under the Fallout canopy, but is somewhat removed from it, too. This will allow it to develop and be played on its own terms, and not be confined to the demands of a demanding fanbase. So, good for Fallout: 76! I’m still cautious about this game, though, as it may alienate the very same fanbase that gave the series its well-deserved clout. It has a nuclear missile component that gives me pause, since the whole point of the series is show what the hubris of a humanity with both the access to and will to use nuclear weapons can do the world. It is a post-apocalyptic series for a reason. I also don’t like that they clearly copied and pasted their dragons from Skyrim into the game. Outside of these issues, I’m still going to keep a close eye on it, as Fallout is kinda my thing. I just hope it doesn’t stray too far from its source material. The fallout from that would be catastrophic.